Francis Pryor’s (blog) experiments with our first Great British Post-Glacial staple. The humble hazelnut: favourite of our Mesolithic ancestors, gathered (excuse the pun?) by the quantities found on some sites like Howick, Northumberland. But why did they burn them | or how did they get burnt? 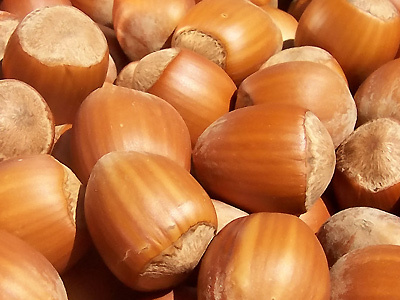 Hazelnuts are also a staple for archaeologists who want and need Radiocarbon (AMS) dating for their sites. They’re a short-lived species and therefore much better than “old wood”. I mean the hazelnuts, not the archaeologists. This entry was posted in British archaeology, Hunter-gatherer-fisher, Mesolithic and tagged Archaeology, Francis Pryor, Hazelnut, Howick, Howick Northumberland, Mesolithic by Spencer Carter. Bookmark the permalink. Cheers for that, Spence. I was thinking about that the other day but it never occurred to me that they might only do it for the taste. Also there is a guy, Wolfgang Lage, in the state museum in Schleswig who got awesome burning results with sand and a clay platform, which had be found in Duvensee, Northern Germany.